Apple watch & disability – Apple has a good track record with accessibility and the disability community. Motion sensors that can tell when you are moving (also programmable for rolling in a wheelchair). They come with a “taptic engine”, which is a tap that comes from the watch to the wrist when there is a notification as well as other features made specifically for blind/low vision and deaf/hard of hearing users. As is the case with all products, unexpected uses emerge from the product when people across the disability spectrum find something to be helpful with their given disability. In the case of the Apple Watch, that looks like apps that are integrated with the taptic engine, as well as the portability of the watch itself. 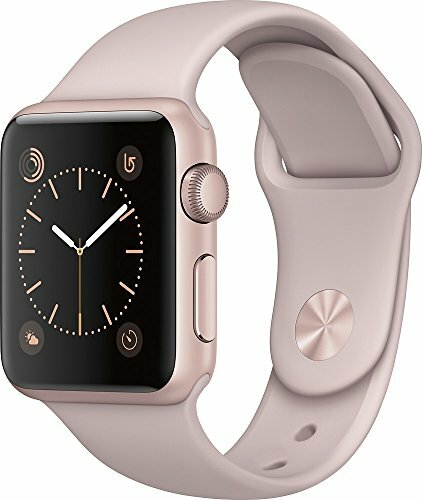 Here are a reviews from blind and autistic Apple Watch users, as a well as a review from me (your deaf, bi-polar user with TBI and PTSD). Wrapping up this piece are some suggestions from my friend Andrew Pulrang on how Apple can improve access for it’s customers with disabilities. VoiceOver: a gesture-based screen reader that uses the speaker on Apple Watch. Taptic Time: a series of distinct taps from the Taptic Engine can discreetly tell you what time it is. Font Adjustment: Larger Dynamic Type to increase the text size for a range of Apple Watch apps, including Mail, Messages, and Settings, to make it easier to read. You can also choose Bold Text to make the text heavier across built-in apps. Zoom: Zoom in on content and magnify by up to 15 times by using the Digital Crown to move across the screen by rows. 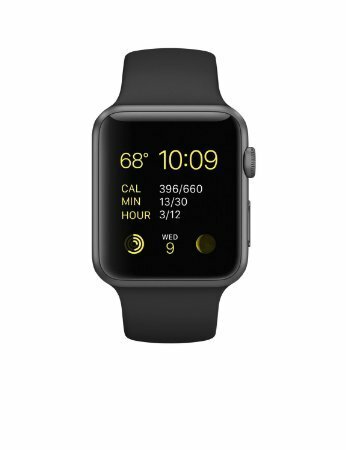 Grayscale: If it’s easier to see the screen without color, Apple Watch can enable grayscale onscreen. Reduce Motion: When activated, some screen elements – such as the movement of icons on the Home screen – will be simpler and more directly associated with your navigation gestures. Extra-Large Watch Face: Apple Watch has many different faces, including one with numbers that take up the entire screen to make it easier to view the time. Reduce Transparency: For features like alerts, Siri, and Glances, increase the contrast on the Apple Watch screen by reducing the background transparency. On/Off Labels: To make it easier to see whether a setting is on or off, you can have Apple Watch show an additional label on the on/off switch. I have been using a generation 1 Apple Watch since March of 2016, so for about a year as of writing this post. I have been using Apple products since 2010 with the introduction of an iPhone 4, so the basic mechanics of voice over and gestures were not new to me. I have found using the Apple watch to be quite enjoyable. As someone who is at times unable to look constantly at my phone, it is nice to feel the notifications come in on my wrist. There are also different notification vibrations for texts and third party apps. Another really cool thing about the Apple Watch that I like is the ability to answer phone calls without having to take my phone out of my purse or pocket. The sound quality for these calls in my opinion is really good. While I do think that the Apple watch has a lot of really neat features and is a powerful device, there is definitely a learning curve similar to one with the iPhone; some of the gestures I feel could be a little more intuitive and it can take a little bit to figure out how to do everything that you need. Something else to keep in mind if using voiceover is that unless you have a Bluetooth headset or earpiece, voiceover will read everything out loud since you cannot plug a set of earbuds or headphones into the watch. This was initially disconcerting for me since I am used to doing this with my phone. One more thing that I noticed was that there is a bit of slowness when using the watch and voiceover responding; however, I have heard that this has been fixed in the new Apple Watch that was released in fall of 2016. With all of that said, Apple has gone above and beyond to make all of their products very accessible for the blind and I am very appreciative of the fact that I can now be on more equal footing with my sited peers in this arena. Lillie Pennington is a totally blind college student studying social work at Northern Kentucky University. She is originally from Cincinnati, Ohio. 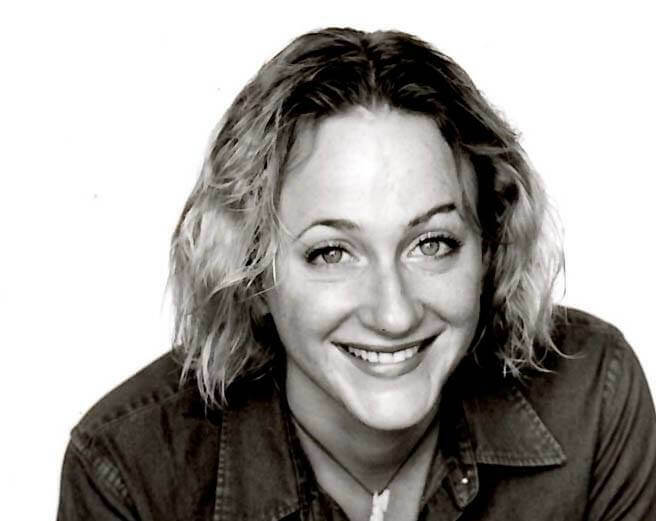 In her free time, she enjoys reading, writing and doing various crafts such as crocheting and making jewelry. To a lot of people, the Apple Watch is a semi useless luxury item. Something to play with. Another tech toy or status symbol. For me, my Apple Watch is a vital part of the system I have developed to manage my disability. 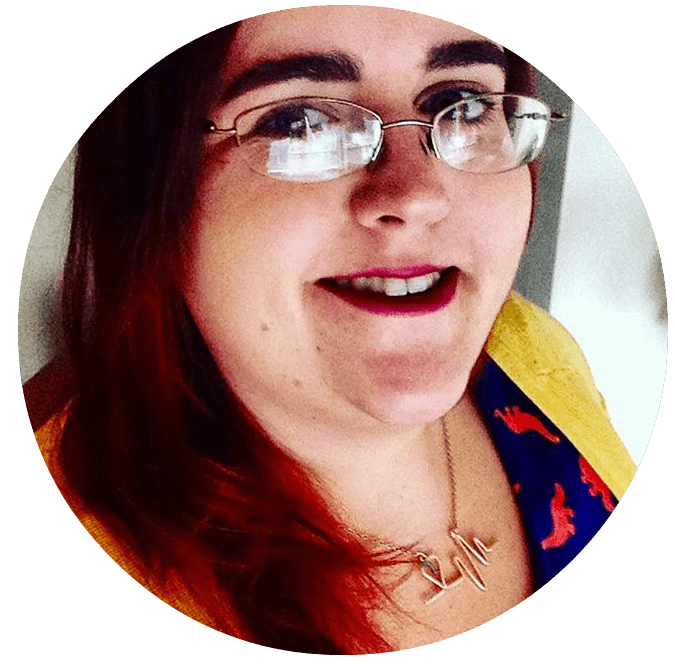 As an autistic person, I have always struggled with executive dysfunction. For those of you who have never heard of executive dysfunction, it is essentially an inability to make yourself do things. While other people can know they have certain things to accomplish and just do them, My executive dysfunction means that I will know that things need to be done, and want to accomplish them, but I will be unable to get my brain to start the action. As an adult, I knew I needed to figure out how to deal with executive dysfunction if I wanted to accomplish the goals I set for myself. My system started with a smartphone. I added tasks and appointments to the lists and set alarms to remind me to do things. This helped me to remember what needed to be done, but I found myself scheduling things too close together, not allowing myself time to get from one to the next, and when I picked up my phone to see what it was reminding me to do I would inevitably become distracted by games or social media. So, I added a Passion Planner to the mix. With my planner I was able to visually see the layout of my day, which prevented me from scheduling tasks too close together, or planning too many things in one day. But I would forget to check my planner most of the day, making it less effective, and with every reminder on my phone, i would risk becoming distracted every time I checked a reminder. Enter the Apple Watch. By adding it to the mix, I successfully solved most of the problems with my organizing system. It is hard to get distracted by the watch, because I don’t have games or “fun” apps on it. I keep my phone “away” (in my bag, across the room, or otherwise out of reach) most of the time. I set specific event reminders with “GoodTask 2”. This app allows me to set reminders at specific intervals, as well as delay them if needed. This is how I stay on track paying bills, leaving for appointments and getting to work on time. These tasks as well as others are also listed in my planner, which I remember to check because I schedule reminders with “Breathe”. While this is intended as an app for meditation, it’s perfect to remind me to “check in” with myself. It is set to go off every half hour, and when it does it is my reminder to spend a minute to re focus myself. What am I doing? What should I be doing? Do I need to look at my planner? Eat or drink something? Am I becoming anxious or upset? If I need to spend a minute to ground myself, I can use the minute meditation the app offers me. If not, I just check in with myself, look at my planner and move on. Ultimately, without this system I would not be able to do the things I want to do. I am currently a nursing student and I work 30 hours a week. Developing a system with my iPhone, Passion Planner and Apple Watch allows me to get a large number of tasks done in spite of my executive function issues. While many people probably see it as evidence I have money to burn, the Apple Watch is a valuable tool that I could not be as successful without. Louisa is a 30 year old autistic nursing student. 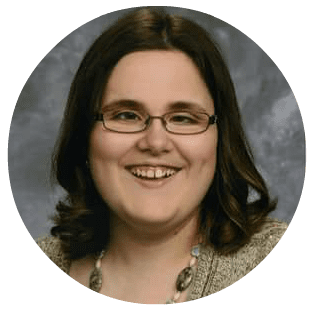 She has spent her life learning how to thrive in a world built for neurotypicals, and her life goal is to make life better for future generations of autistic people. She lives in upstate New York with her boyfriend of 10 years, two dogs and a cat. Taptic Engine: The gentle tap on the wrist every time a notification comes in, accompanied by Prominent Haptic,which can preannounce some common alerts. This includes text messages, mail, direction turns (on maps), reminders. Scribble: If you’re not using Voice Dictation and you can’t find the right Smart Reply to a message, you can now write back by scribbling letters on the display, which Apple Watch converts to text. Mono Audio: Apple Watch supports Mono Audio, allowing you to play both audio channels in both ears, and letting you adjust the balance for greater volume in either ear. I was astonished at how wonderful the taptic engine was, when I used it while driving. I had my ‘maps’ on with directions, but what happened was every time I needed to make a turn or do something, I received a gentle tap on my wrist from the watch. That was super helpful as it allowed me to keep my eyes on the road except for the time of the turn, in which I glanced at my phone for the specific action. I tend to miss text messages as well, because I don’t always have my phone on me, and when I do, it’s usually in my purse so I don’t see the flashing lights or feel the phone vibrate – my deaf alerts that I have a new message. The taptic engine on the watch changed all that, and allows me to see the message right on my wrist. Since I talk for myself, I am able to reply verbally, and that’s also handy. I haven’t been able to use the bluetooth features with the music, nor have I tried the iPhone- compatible hearing aids, and don’t know how that would affect any of the features. 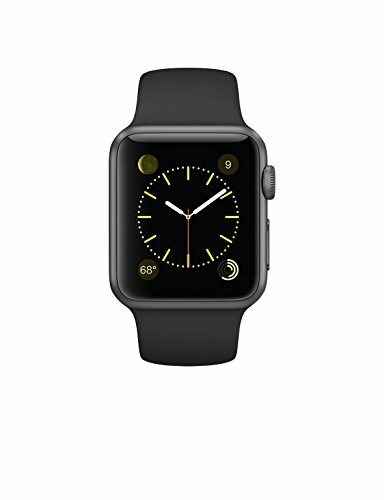 My main complaint is the battery life – I’d like to be able to use the watch as an alarm and have the taptic engine wake me up, but I can’t as the watch needs to be charged every night. Like Autism, there is nothing not he Apple Watch Accessibility site that indicates that it would be useful for people with mental disabilities like TBI (traumatic brain injury), PTSD (post traumatic stress disorder) or bi-polar disorder. Well, I’ve already written about how the Apple Watch benefited me with my (lack of) hearing, but how it benefitted me with my mental pieces was pretty astonishing for me. First of all, the “breathe” app. Louisa mentioned it too in her Autistic review, but for me, it has a been a game changer. You can set it up to come on at different times, and it taps your wrist to take a moment to breathe and focus on the flower unfolding on the watch face. That app literally makes me CALM DOWN and FOCUS. It’s huge, and I can’t recommend it highly enough. Then the reminders – being able to schedule in reminders that pop up. This is GOLD for people with TBI. We can use paper planners to physically reinforce the schedule (something about an actual pen-to-paper helps me remember better) and we can have the phone alert us, but like Louisa said, the phone can be too much of a distraction. The watch effectively does the job of reminding us, sans distractors. I get pretty competitive with myself with the movement app, and I like to see circles completed. I think that is useful with moving more and getting out of a rut that I might get into with being bi-polar. It gets me outside, moving, and that is very helpful for keeping myself balanced. The Apple Watch allows you to choose photo slideshows as your clock face. That is also a wonderful inspiration for me. I “heart” select photos and quote memes and other things that I like on my phone’s photo gallery and those “heart’ selections are automatically part of my watch’s slideshow. It’s awesome! Every time I glance at my wrist, I see something that comforts me or makes me happy. The second version of the Apple Watch (released in the fall of 2016) is waterproof but mine is not. Waterproof function would be fantastic. As it is, I swim a lot with my kids and need to remove it, meaning that I miss out on the reminders and breathe app when I have it off. You wear it on your wrist, so it’s probably easy to get to and hard to lose. You can also probably mount it in a dozen other creative ways … strapped to a wheelchair armrest, hung on a chain around your neck, wrapped around a cane. It’s got those sensors on the back that can detect your heart rate, and motion sensors that can tell when you are standing, sitting, walking, running, etc. This suggests could monitor some chronic health conditions. If those sensors are possible, others might be not far off, like sensors for blood sugar (diabetes), oxygen levels (asthma), or maybe even mood. Voice Output … It would be great to be able to record and store lots of phrases for daily use by people with speech impairment, easily retrieved and then played on the watch. It may already be able to do this in a rough sort of way, using the watch’s speech to text feature. Note: There seems to be some ambiguity about whether VoiceOver will work on the Apple Watch. VoiceOver is a feature built into all current Apple devices that audibly “reads” whatever is on the screen, mainly for the benefit of visually impaired users. It seems to me very unlikely that VoiceOver wouldn’t work on the Apple Watch, but we’ll have to wait and see. Environmental Controls … The Apple Watch will have a built-in app that turns it into a remote control for your TV and music devices. Could it be that difficult for someone to design an app that controls automatic devices … such as door and window openers, lights, thermostats, even an adjustable bed … throughout a house or apartment? Environmental controls for disabled people have been around for years, but tend to be expensive and tied to very specialized and exclusive control systems. A wrist-based controller that adjusts to multiple systems seems like a natural. Like all amazing tools, the Apple watch benefits those of us with disabilities in a myriad of ways, most unplanned for and unpredicted by the company itself. 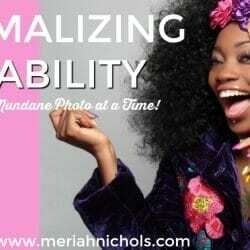 As usual, the presence of disability offers an unprecedented opportunity for creative thinking, application and growth. The key in this is to use what we know about what makes a given tool a great tool for accommodating different disabilities. For example – through this post, you know how helpful the taptic engine is with reminders – so with that in mind, the Apple Watch is worth trying with any disability in which reminders or memory play in . 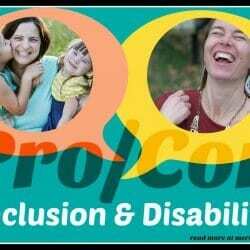 When my daughter with Down syndrome is old enough to have a waterproof version, I will certainly get it for her through her IEP, or request it for her as a tool through Vocational Rehabilitation services, because it’s useful, warranted, and adds a valuable piece to her plan. I would recommend the Apple Watch as well for people with mobility-related disabilities, both to be be able to use light and home-related apps. I wonder if and when Apple will expand on functions of the watch in ways that Andrew wrote of, and I wonder if they are including people from across the disability spectrum in their planning and innovation committees. I hope they are, because we in the disability community have always been the forerunners for innovation and technological invention. 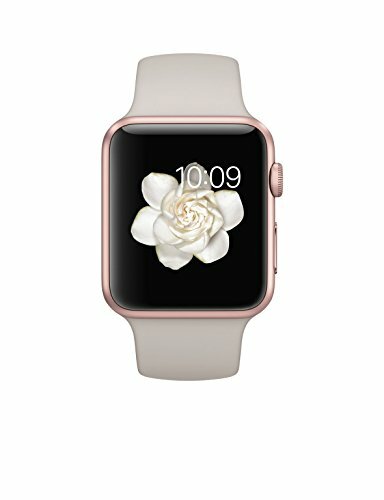 Apple Watch on Amazon – if I were buying it for the first time, I would buy the latest version (Series 2) because it’s waterproof, and I would find it certified refurbished (because refurbished is less money, and ‘certified’ means I can return it if there are issues), and I’d get white (because I have white now and it stays clean; I like it) at the 38mm size (because my wrist isn’t that big and the 42mm would be HUGE). 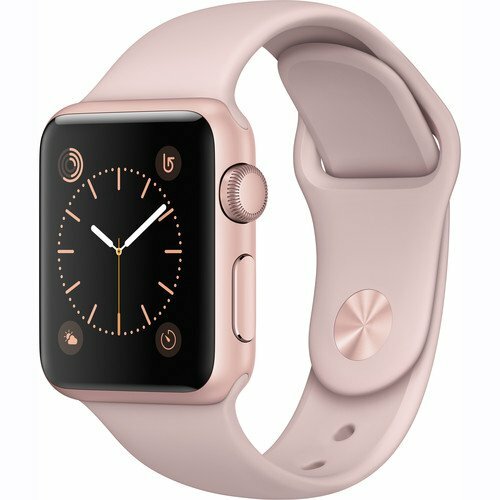 I’d also be saving up for a while because that’s not cheap, even refurbished – I should note too that the prices range from $350-$400 based on the color of the band. 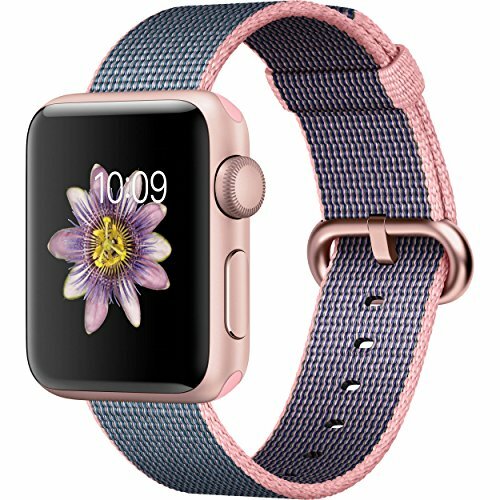 Series 1 (the original, which is what I have, not waterproof but still fantastic) is between $225-254, again, depending on band color. New, it costs between $254-270, not much more than it costs refurbished. For readers in the UK, check out Dealslands for discounts and codes, also discounted prices from Argos. If you know of other good places to find them (especially discounted! ), please let us all know in the comments. 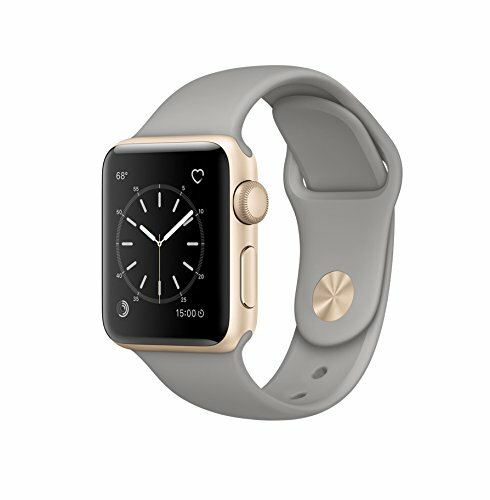 Target sells Apple Watches and they have discounts running from time to time that are worth paying attention to.